Notes: A little detail found on the beach during a walk from Walmer to Deal this afternoon. 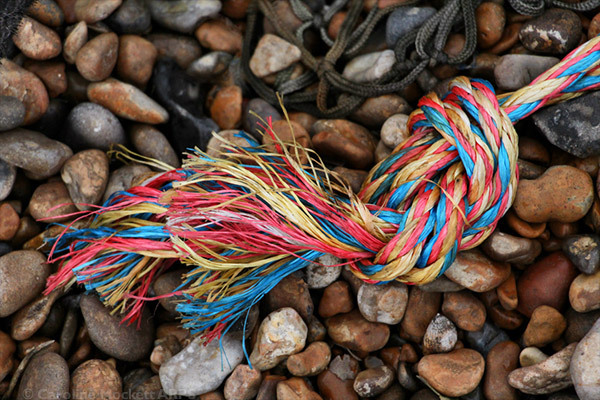 The colourful rope stood out from the brown pebbles. Perfect for Treasure Hunt Theme #40 – Strings.